Now young kids can join in one of America's favorite pastimes. Whether it be pitching horseshoes with family and friends in the backyard, or competitively in leagues and tournaments, these forged steel horseshoes are a must have! 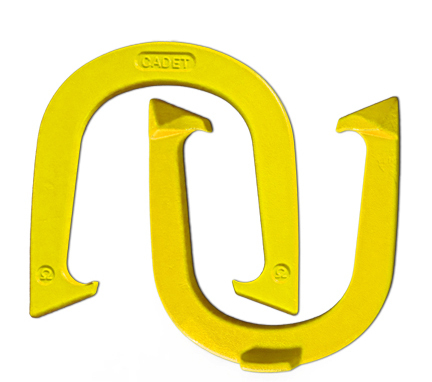 At 1½ pounds, Cadet Horseshoes are a full pound lighter than most other steel horseshoes. Cadets are the lightest regulation horseshoe being manufactured in the entire world today! 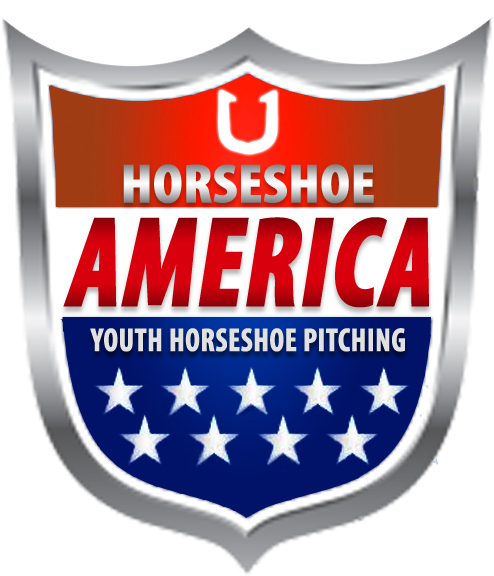 The Cadet Horseshoe is designed with the needs of the younger horseshoe pitchers in mind, but is also great for seniors looking for an alternative to common heavier horseshoes. Side by Side size comparison with the famous Gordon Horseshoe. The Gold Standard in horseshoe manufacturing is the Drop Forge. It is only through this technology that the ultra light weight Cadet Horseshoe can successfully be created. Forging produces a unique internal grain structure that endows exceptional strength and durability to the Cadet's high-grade carbon steel alloy. A horseshoe of this size made by the less expensive and more commonplace method of casting or lower quality steel would result in a high rate of breakage. When you pitch Cadets, you pitch the best! Youth Clubs - Leagues - Clinics - Techniques - Tournaments. More from Omega Horseshoe Co.
Cadet Horseshoes are guaranteed against defect & breakage for a period of one (1) year beginning at the date of original purchase. Failure to register (registration form available on packaging) or substantially altering the horseshoes will void this warranty. To receive replacement horseshoes, return both original horseshoes to the producer. A restocking fee of 25% will be applied to all non-defective returned horseshoes. Copyright © 2019 The Ohmstead LLC. / dba Omega Horseshoe Company. All rights reserved.